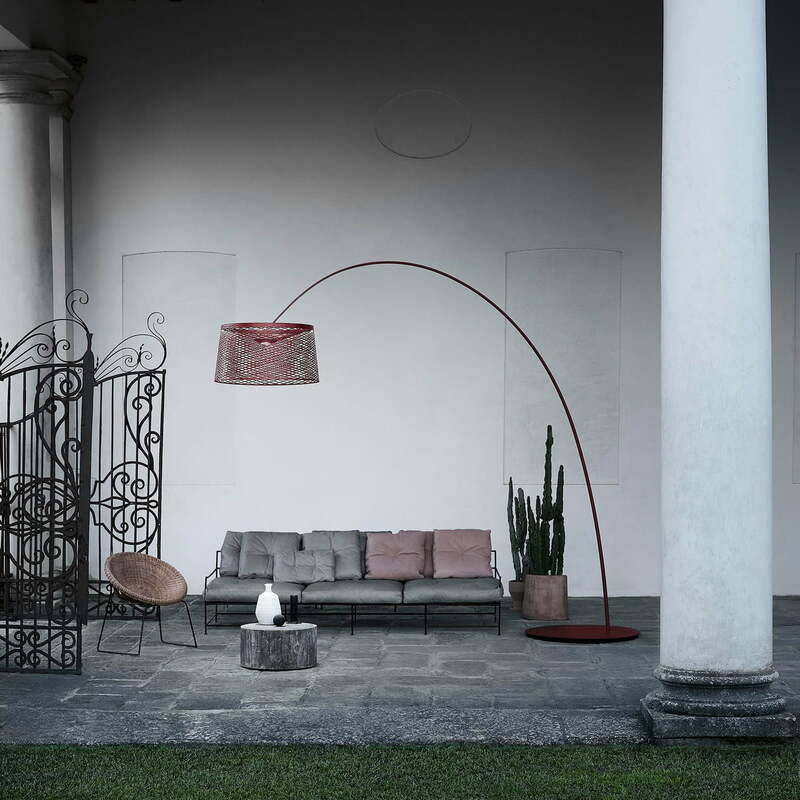 The Twice as Twiggy Grid Terra by Foscarini is an outdoor luminaire with considerable dimensions, which sets an excellent scene in every outdoor area. With a height of 310 cm and a span of 390 cm, the luminaire is an eye-catcher in any case, but does not push itself into the foreground due to its otherwise restrained design. The design was created by Marc Sadler and is characterised by its fabric-like lampshade, which allows the light to flow through, creating an interesting play of light and shadow on the wall. An LED light in the middle of the screen illuminates the area under the luminaire like a spotlight. In addition, the Grit variant has an LED strip at the upper edge of the screen, which forms a filigree light ring. This indirect light source creates a cosy atmosphere on warm summer evenings in the garden. 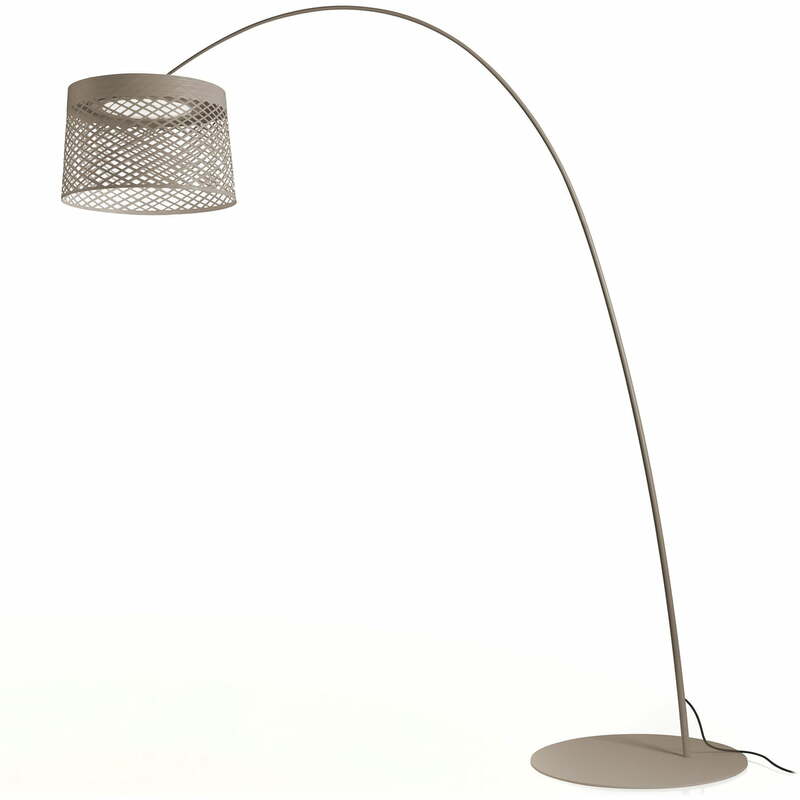 The shade is held in place by a sweeping arc that is typical of Twiggy floor lamps and gives them their characteristic look. In the garden, on the terrace or on the spacious balcony, the Twice as Twiggy Grid Terra outdoor luminaire sets elegant accents and stylishly enhances any outdoor ambience. 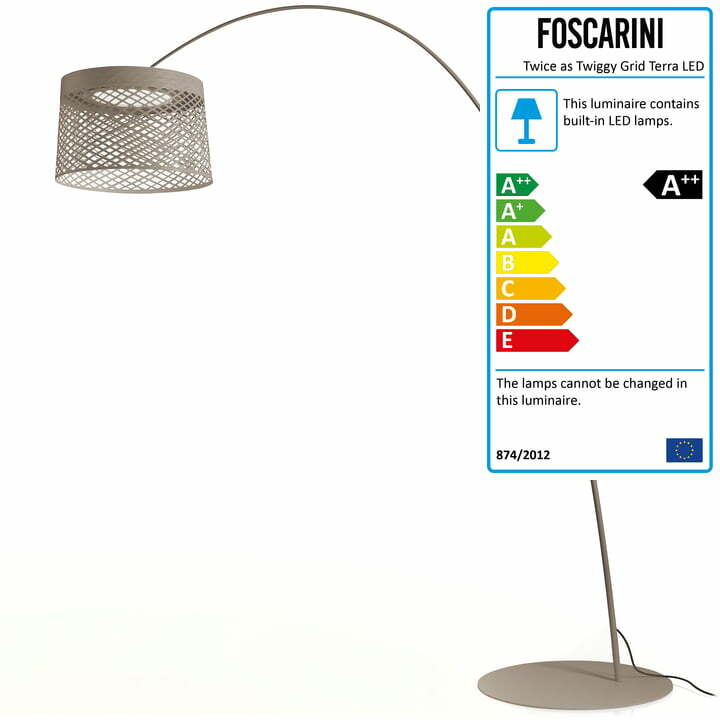 The Twice as Twiggy Grid Terra outdoor light from Foscarini in greige in single product view. The design is by Marc Sadler and is characterized by its fabric-like lampshade. In the garden, on the terrace or on the spacious balcony, the Twice as Twiggy Grid Terra outdoor luminaire sets elegant accents and stylishly enhances any outdoor ambience. 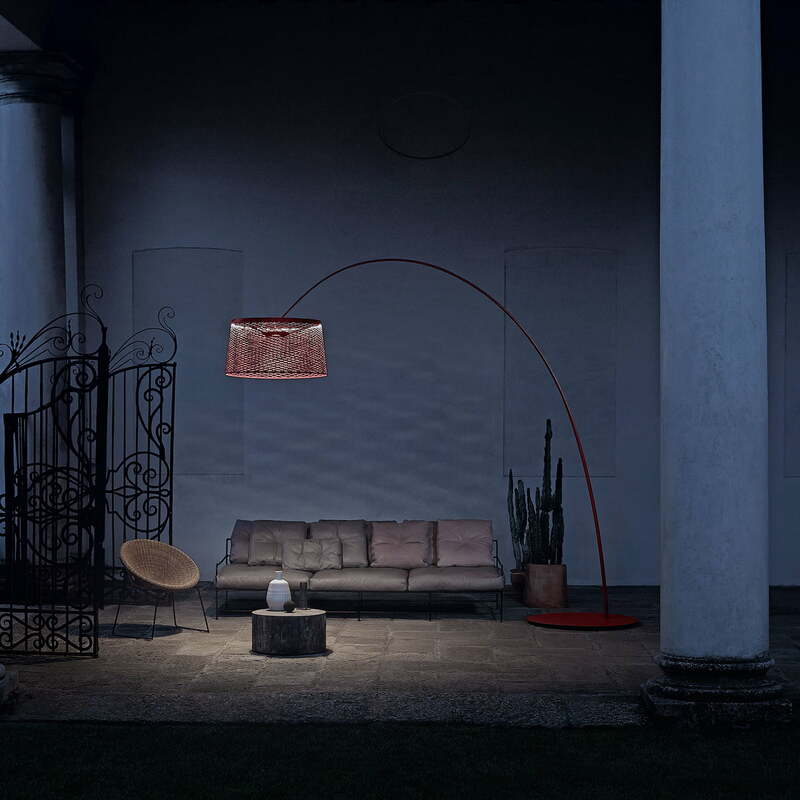 The Twice as Twiggy Grid Terra by Foscarini is an outdoor luminaire with considerable dimensions, which sets an excellent scene in every outdoor area.